Ron’s Amazing Stories is a weekly podcast that presents Old Time Radio, interviews and classic short stories. We take you away from today! Ron’s Amazing Stories is a weekly podcast that presents stories. You will find Old Time Radio from your favorite shows like Suspense, Dimension X and Gunsmoke. Also, we do interviews. We have had Famous Authors, Actors, Radio Personalities and even an NBA all-star. 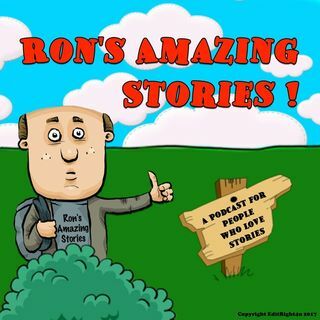 So, tune each week to find out what are… Ron’s Amazing Stories.